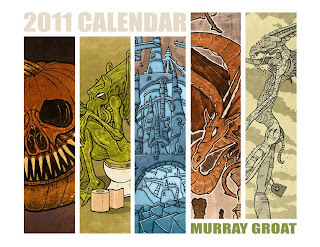 MUZ : sketchblog: 2011 Calendar out now! Finally here is my calendar for 2011. I know it's a wee bit late, but I finally got round to putting it together. DeviantArt who print/sell these, have a special offer on right now for FREE SHIPPING. So snap these babies up now, before this offer ends, and be the first to have one.